Looking for a digital and scannable business card? We meet lots of people in business and we expect that you do too. 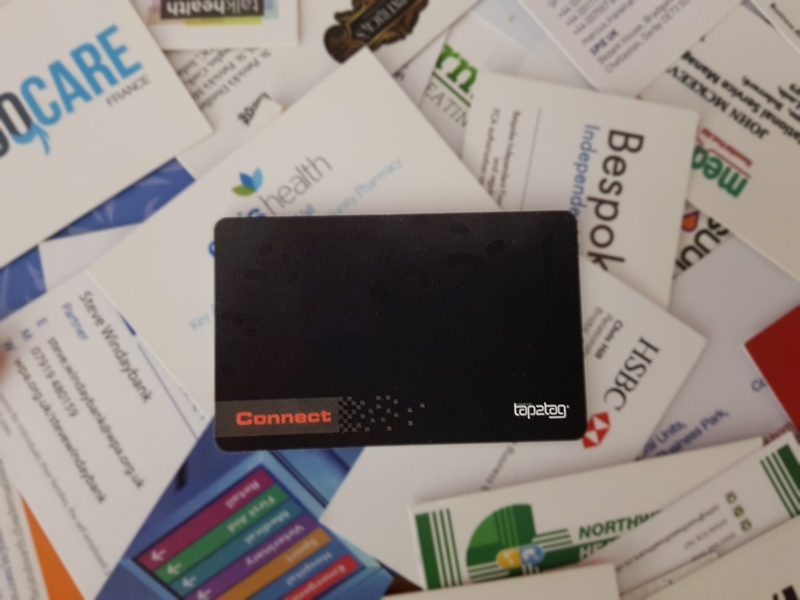 Just one networking event can mean over 20 business cards sitting in your pocket which, at some point, need to be added to your address book. You can download an app that scans business cards but these only work some of the time and fail completely if a business card is printed on both sides. So we developed Tap2Tag Connect, the really smart digital business system. And this is how it works. Rather than carry a box of your business cards in your briefcase; you just need one Tap2Tag Connect card. Your business profile is created within your Tap2Tag account and linked to your card. Being a digital profile you can store a lot more information and even include links to your corporate video, your social media and even embed documents. Someone asks for your business card. You take out your Tap2Tag Connect card and ask them to scan it with their NFC enabled phone. Virtually all Android phones have the this functionality and uses the same technology as Android Pay. Your electronic business card will simply appear on their phone. No apps to download, it just works. And don't worry if they have an iPhone. Each card comes with a QR code on the back. All your new contact needs to do is open their camera and point it at the QR code (update to IOS 11). Your digital card will then appear in Safari on their phone. Pretty impressive...but then comes the best aspect of using your Connect Card. 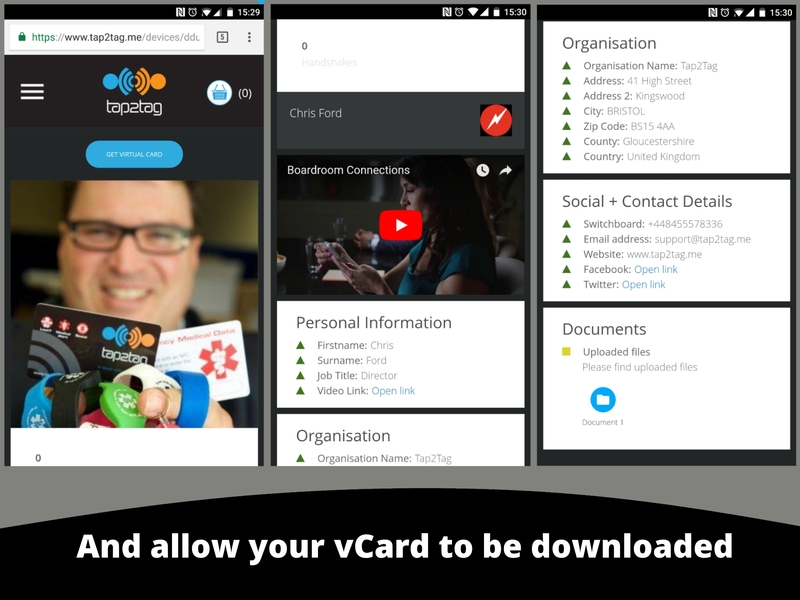 By hitting the "Get Virtual Card" button your vCard is then automatically downloaded into your new customer's phone address book. Pretty smart, eh? So they don't even have to re-type your business card details at the end of the day. Links to your social media and video are also included meaning your corporate business profile can be seen again and again in their address book. Want to see what happens when you click a device? Then click here to view Chris Ford's profile (founder of Tap2Tag).